When should we follow a recipe, and when should we break the rules? 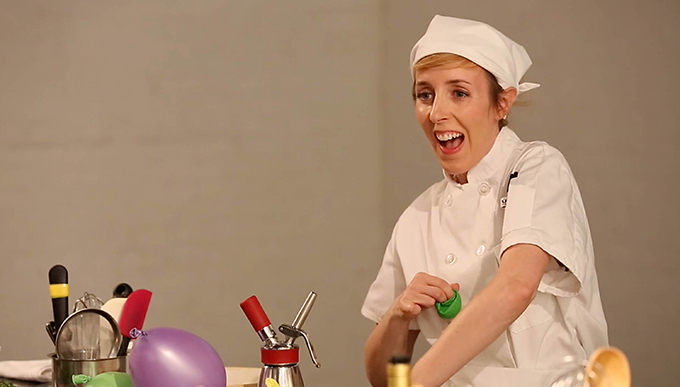 In this episodic live cooking show, artist Kristin Worrall demonstrates, prepares, and serves her audience dessert in real time. Each show features a different recipe. For this performance, Worrall whips up a celebratory dessert for Mount Tremper Arts’ 10th anniversary using fresh ingredients from MTA’s garden and the help of special guest chef and MTA Co-Founder Mathew Pokoik. As kitchen and theater collide, Worrall shares time-tested recipes, secrets, and tips on how to throw a party—all while considering what it means to be happy in an ever-changing world. 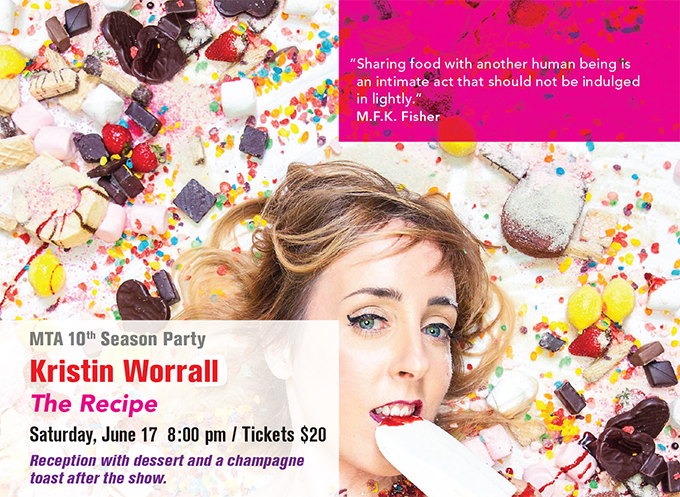 Kristin Worrall is a pastry artist, performer, and sound designer. As a founding member of Nature Theater of Oklahoma, she has performed in over 20 festivals around the world. Worrall is a Henry Hewes Design Nominee, a recipient of the A.R.T. New York Theater Grant for Sound Design, and an alumna of Lincoln Center’s Director’s Lab and the Watermill Center.